New Castle Therapist: MeadowWood Behavioral Health Hospital - Therapist 19720. Send A Message To MeadowWood Behavioral Health Hospital. 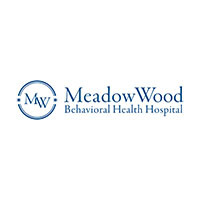 MeadowWood Behavioral Health System is a trusted provider of mental health and co-occurring substance abuse treatment that has assisted countless people in living healthier lives. With a full spectrum of effective services offered, this center has become synonymous with world class care and remains the go-to treatment center for those in the New Castle, Delaware area. Adolescents between the ages of 12 and 17, adults ages 18 and older, and senior adults ages 55 and older can rely on MeadowWood to give them the support and resources they need to make their lives better. The inpatient treatment available is designed to care for a myriad of mental health concerns, including depression, anxiety, trauma, psychosis, memory disturbances, and a whole host of other psychological issues. Separated by age, inpatient programming at this center is a deeply personalized experience that takes into account each and every treatment need of those who choose to come to MeadowWood for care. Medication management services, various therapies, and the support of a dedicated multidisciplinary staff are what make this level of care so effective and life-changing, and are also what allows people, young and old, to become well again. Additionally, it is important to know that each age group treated is afforded with the specialized services they need to make great strides in their healing journeys. For example, adolescents are given the behavior and symptom management skills they require to be successful at school, in their homes, and in their communities, whereas senior adults have access to the care they need to slow the progression of memory disorders like Alzheimer's disease and dementia and live the autonomous lives they desire. In addition to top notch mental health treatment, those engaging in inpatient services can receive care for co-occurring substance problems at the same time. This type of treatment is available to all age groups, and offers the care required to refrain from ongoing substance abuse in the future. Furthermore, in receiving care for an addiction at the same time as treatment for mental health issues, people can benefit from a truly well-rounded healing and recovery experience that is transformative. As a means of furthering every person's treatment successes, MeadowWood Behavioral Health System is proud to offer partial hospitalization programming, or PHP, for individuals of all ages. This level of care is less restrictive than inpatient treatment, though it is no less effective in helping patients to heal and overcome mental health concerns. Additionally, adolescents, adults, and senior adults can receive co-occurring substance abuse care while in PHP so they can continue working on each of their issues and concerns in an all-encompassing manner. Finally, transcranial magnetic stimulation therapy, or TMS therapy, is part of the full spectrum of services offered at this center. This outpatient service is a state-of-the-art option for care for men and women over the age of 18 who are grappling with depression but have not experienced symptom relief via coping skills and psychotropic medications. When one receives this type of treatment, alleviation from even the most severe and treatment-resistant forms of depression can be achieved. By selecting MeadowWood Behavioral Health System as the place to begin life anew, all who come for treatment will be given every opportunity to form the confidence and skills needed to be healthy once more.